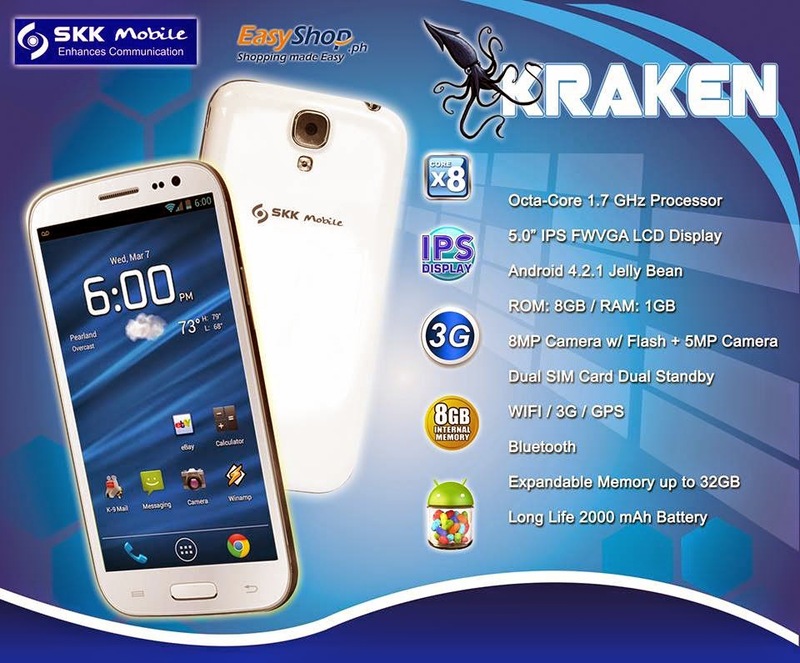 SKK Mobile Phone is now released its newest and its first ever smartphone with an octa-core processor, the SKK Kraken. Under its 5-inch FWVGA LCD display, the new handset has a powerful 1.7 GHz Octa Core ARM Cortex A7 CPU and Mali-450 GPU based MediaTek MT6592 SoC, complemented with 1GB of Ram and 8GB internal storage that can be expanded using the microSD card slot that supports up to 32 GB. 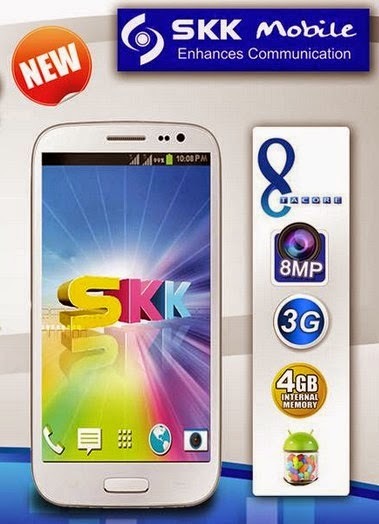 Running android 4.2.1 Jellybean, the device also has a long life 2000 mAh battery and features 8 MegaPixel autofocus camera with LED flash, 5 MegaPixel front camera, WiFi, Bluetooth, 3G HSPA+ and Dual SIM Dual Standby.